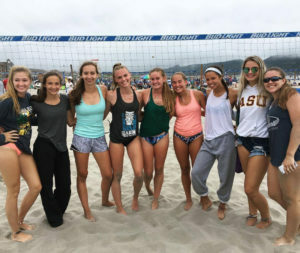 It now appears, however, success in the sport is no longer confined simply to the courts, but has since moved outside and onto the sand as well. 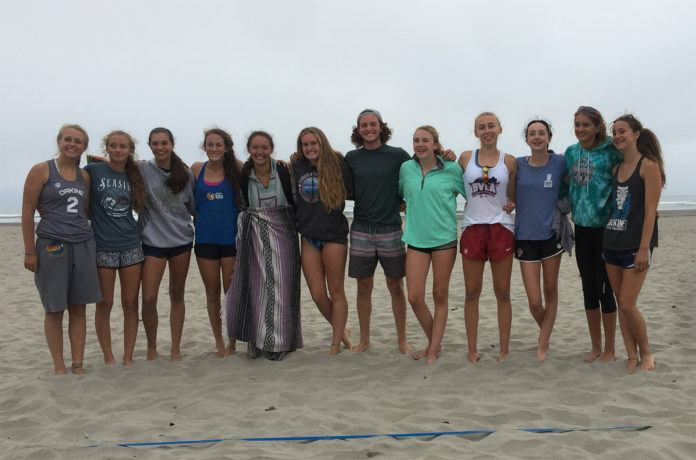 Several local players, including sisters Avi and Aris Vetter of Olympia, took home top honors at the 36th Annual Seaside Beach Volleyball Tournament at Seaside, Oregon to close out their summers. The world’s largest amateur beach volleyball tournament saw more than 1,500 teams compete over a four-day period with Olympia, Lacey and Tumwater players being well represented on the podium as the junior doubles division was almost swept by local talent. Avi Vetter, a freshman at Olympia High School, and Aris Vetter, who attends the NOVA School, dominated the Girl’s Doubles U14 AA Division Gold Bracket, taking home the first-place trophy. The Vetters defeated fellow Dakine Beach Volleyball Club teammates Addie Denslow and Kambel Fiser in the finals – more than showing the depth of the University Place -based club. 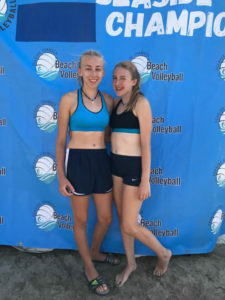 Denslow, who joins Avi Vetter as the only freshmen on Olympia High School’s varsity volleyball team, and Fiser, knocked off the top-seeded team in the semifinals before finishing second in the tournament. Another pair of sisters, Maia and Maddie Nichols, who are a sophomore and freshman at Capital High School, respectively, claimed the championship in the Girl’s Doubles U16 AA Division Gold Bracket, while Northwest Christian senior Samantha Johnson teamed up with Maddy Clark of Puyallup’s Rogers High School to capture the crown in the Girl’s Doubles U18 A Division Gold Bracket. 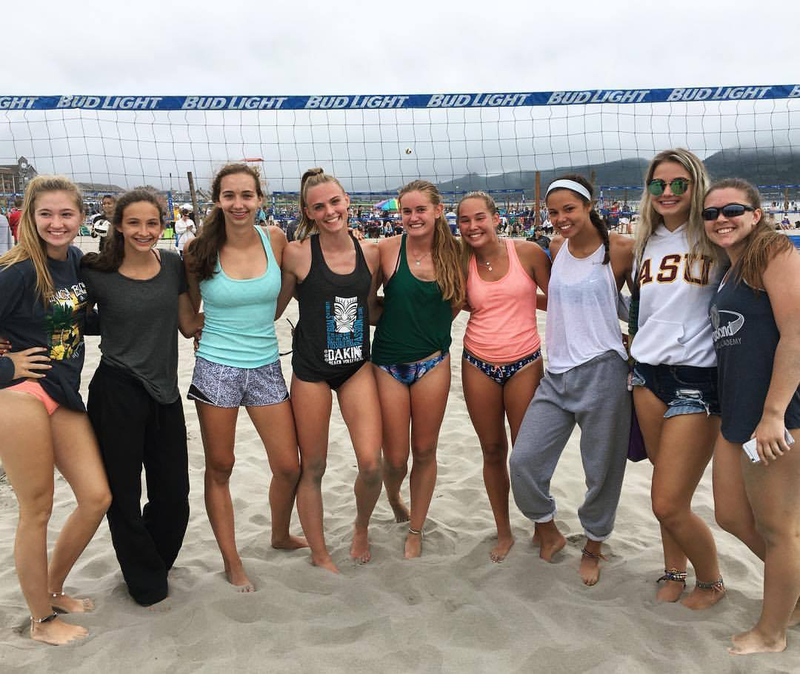 Northwest Christian’s Samantha Johnson (5th from left) and Tumwater’s Kennedy Croft (7th from left) at the Seaside Beach Volleyball Tournament. Tumwater High School standout Kennedy Croft, who looks to guide the Thunderbirds to their third Class 2A state championship over the last four years and was named the 2016 Washington State Gatorade Player of the Year, finished third with partner Hannah Yerez of Gig Harbor High School in the Girl’s Doubles U18 AA Division Gold Bracket. All 10 of the girls are members of University Place’s Dakine Beach Volleyball Club. The first-place finish comes a year after the sisters had to remove themselves from the tournament after Aris suffered an injury to her lower back. “We definitely got some redemption after what happened last year,” Avi Vetter said. The two started playing volleyball approximately seven years ago, taking up the sport at the YMCA. They made the transition to beach volleyball three years ago. Two aspects that the sisters excel at while playing. Johnson, who has verbally committed to the University of Puget Sound, and Clark duplicated the Vetter’s feat in the U18 A Division Gold by winning every match 2-0. 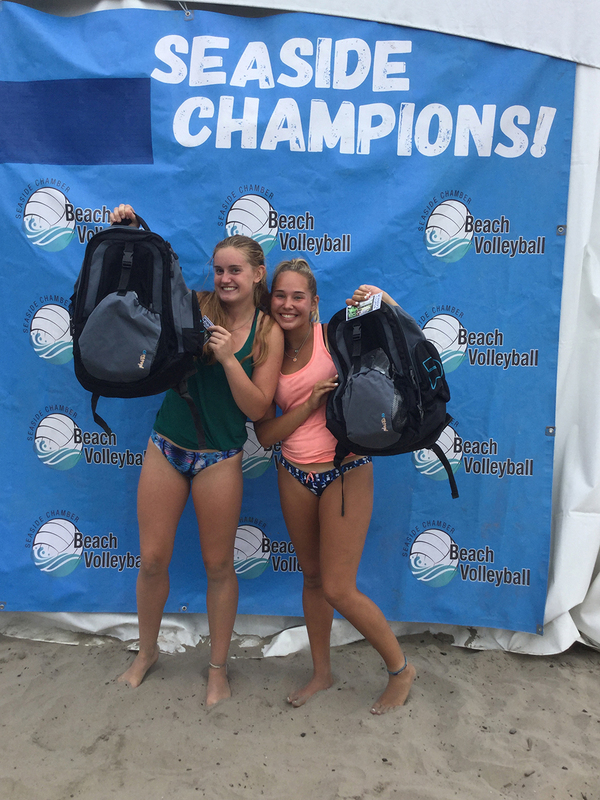 Maia and Maddie Nichols rallied after dropping the first set in their semifinal matchup, losing 21-16, before winning their next two games (21-18, 15-9) to win the U16 AA Division Gold championship. 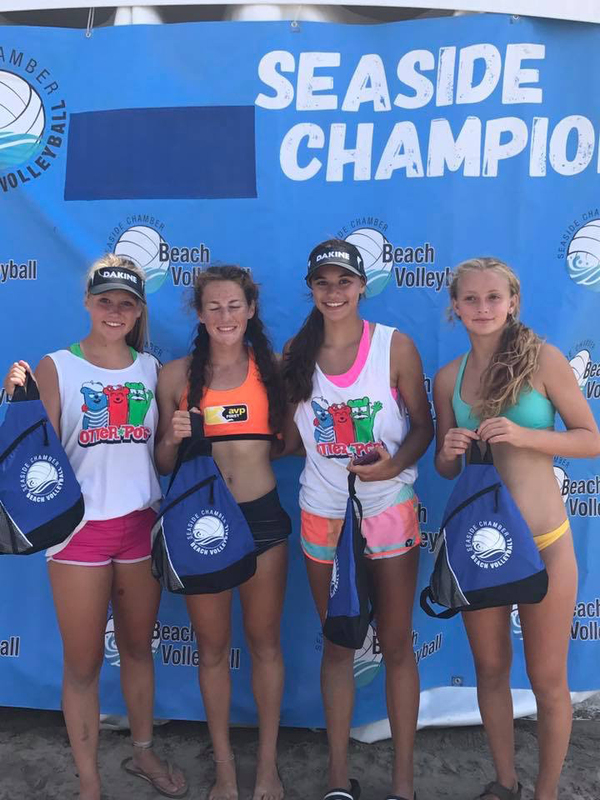 The 2018 Seaside Beach Volleyball Tournament will be held August 9-12.